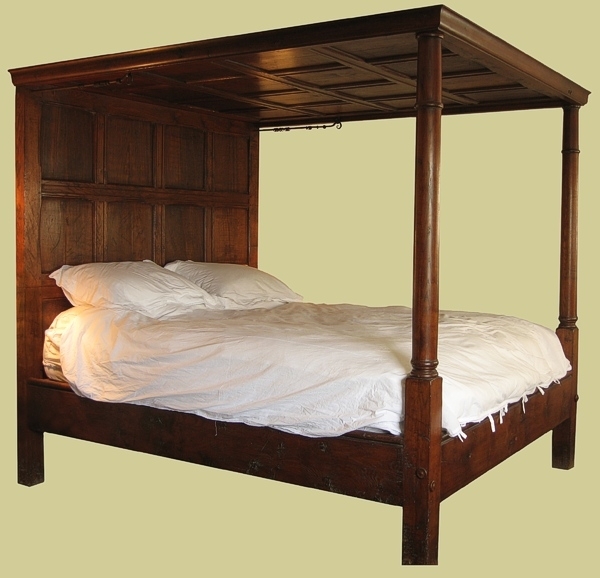 Close up view of the oak panelled headboard on our Chalvington range bespoke tester bed. You can see the 'scratch moulded' style edge mouldings to the framework, simple channel moulds and plain flat panels. The mid-rail has an angled 'dusting splay' on the top edge, in place of a moulding. 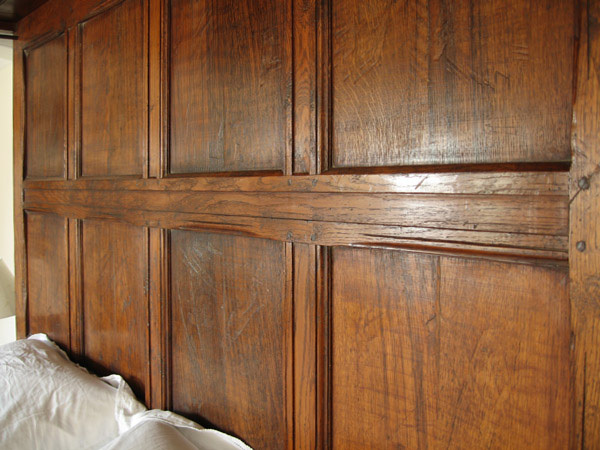 This is a typical characteristic of virtually all period panelling.